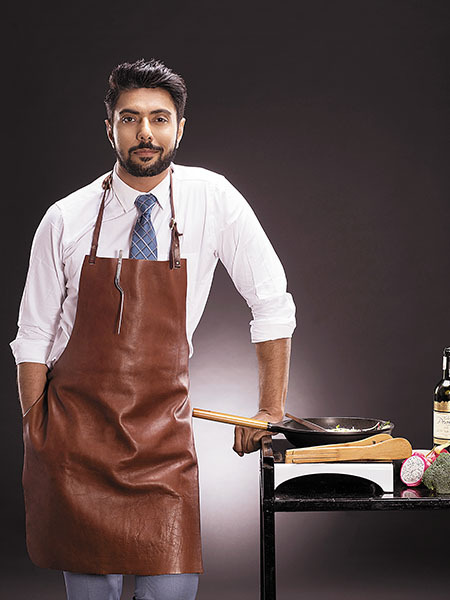 Celebrity chef Ranveer Brar recently launched his own food app–the Ranveer Brar App–which he describes as an alcove or treasure trove of learnings from his culinary journey. The app boasts of 1,100 recipes and over 300 videos for users ranging from novice chefs to gourmands. It is a treasure chest, alcove even, of my learnings over the years and recipes from across Indian shores. It is a diary wherein all my travel experiences of food can be found in one place. The best part is the Ranveer Brar (RB) diet plan, which is an interesting regime to keep eating and lose weight–we recommend six meals a day. While we decide the portions you can have in each meal, there's certain commandments that you should follow to have a healthy lifestyle–leaving white sugar, fine flour, and processed foods. So once you've signed onto the app, we will bug you with notifications every time you miss a meal. And that's how it works. Q Tell us about your role as a celebrity chef. India is in a weird position right now. You don't know if you're more of a celebrity or a chef. I don't think we've reached the stage here wherein we are celebrities because we are chefs, we are celebrity chefs. I have learned to take the role very positively, having realised that I influence so many people. The idea is to keep that inspiration alive and use it to make a difference to people's lives. Inspire them to cook, inspire them to travel, and bring out food stories which otherwise wouldn’t have seen the light of day. Q How is the role of a TV chef changing? It is changing. From being information providers to explaining techniques needed for different recipes, we inspire people to cook, travel, and make sound decisions about their lives. Every year, there are more than one lakh students who sign up to be chefs. To be able to influence them, help them make right decisions for themselves, doing the right thing and make the army stronger, that's how the role is changing. Q What are the new trends in restaurants today? I definitely see regionalism and hyper-regionalism coming back and becoming big. For me, the real deal is the comeback of the grain. I think we are too fancied with wheat and rice, which are both tasteless and considering at the volume they are produced, they are extremely water-intensive crops. There are many other grains that we need to talk about and it's just good that we're going back to regional Indian food which is driven by the Indian grain. Q What are your thoughts on sustainable eating? Honestly, I think we're trying too hard. Indians have always been sustainable eaters–our grandmothers always used every piece of vegetable to cook at home. The roots were grounded into chutney, the stem and leaves were used to make sabzis or other items. I think we need to rewind 40 years, that's where the answer lies and not in attaching new terms. Sustainability is ingrained in our heritage and customs, we just need to bring it out.